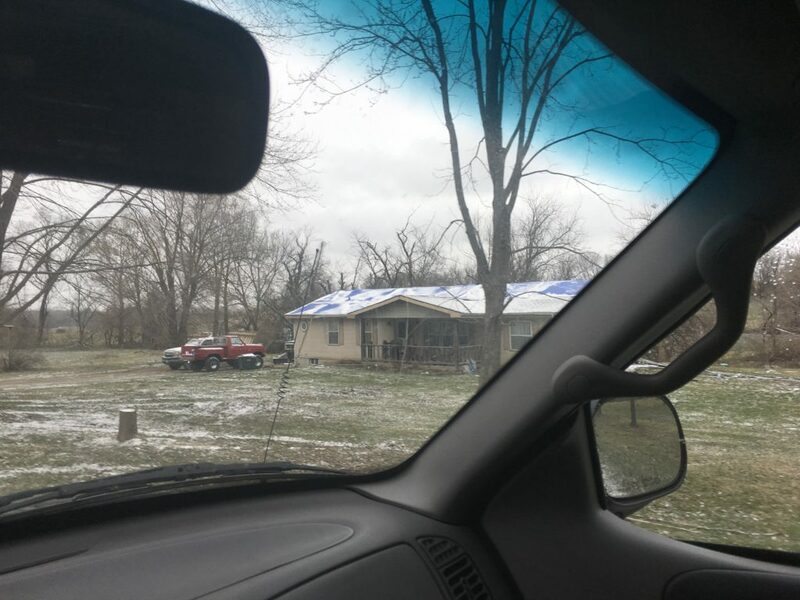 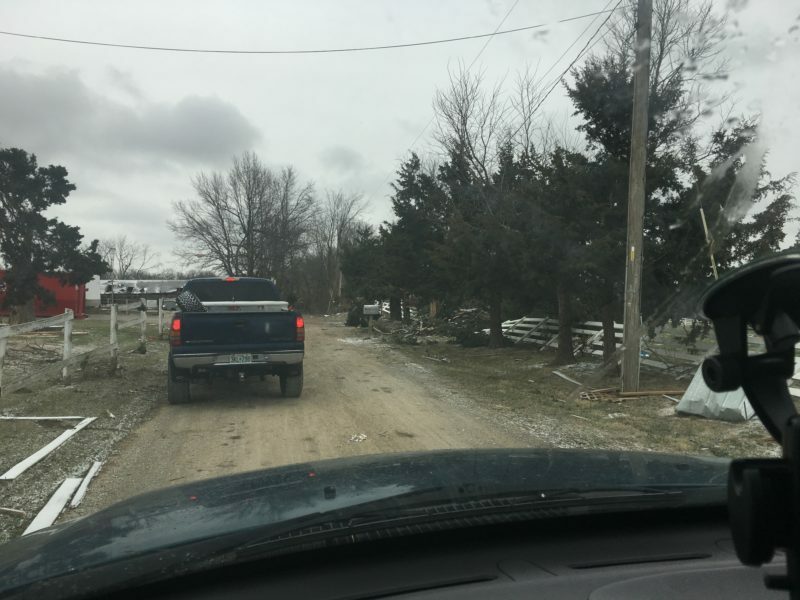 On Monday March 6th, 2017 a line of severe thunderstorms traveled from eastern Kansas into western Missouri, producing hail, damaging winds and tornados. 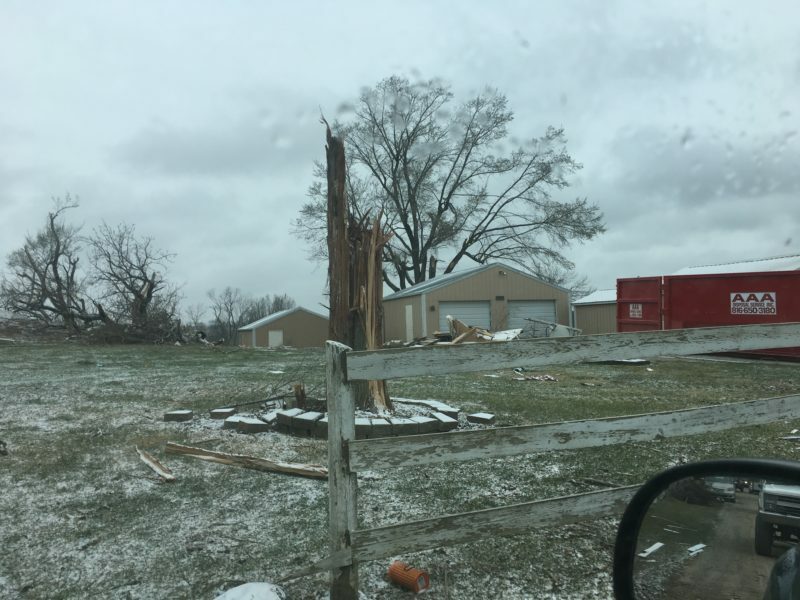 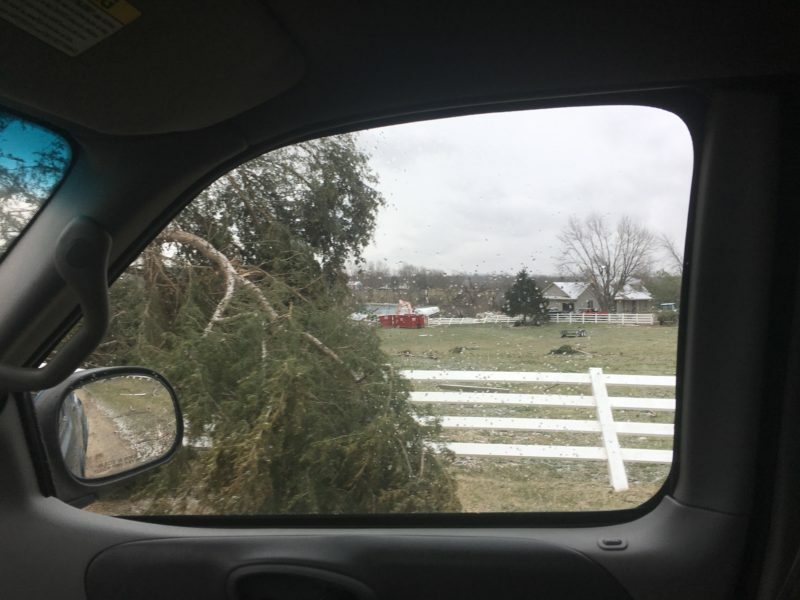 Between 2000hrs to 2200hrs, an EF-3 class tornado producing up to 152mph winds approximately 400 yards wide traveling over 12miles effected the south side of Grain Valley, Oak Grove, Bates City, Odessa, and other rural areas. 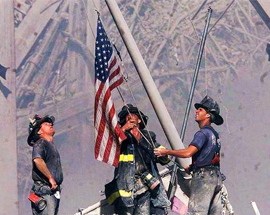 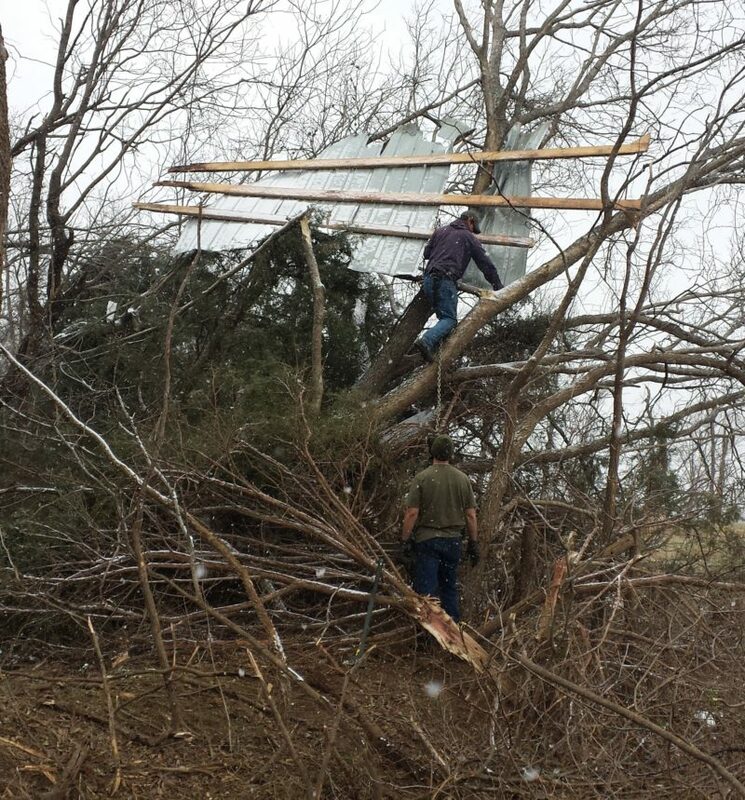 This tornado damaged personal property, killed live stock, and caused up to 12 or more casualties. 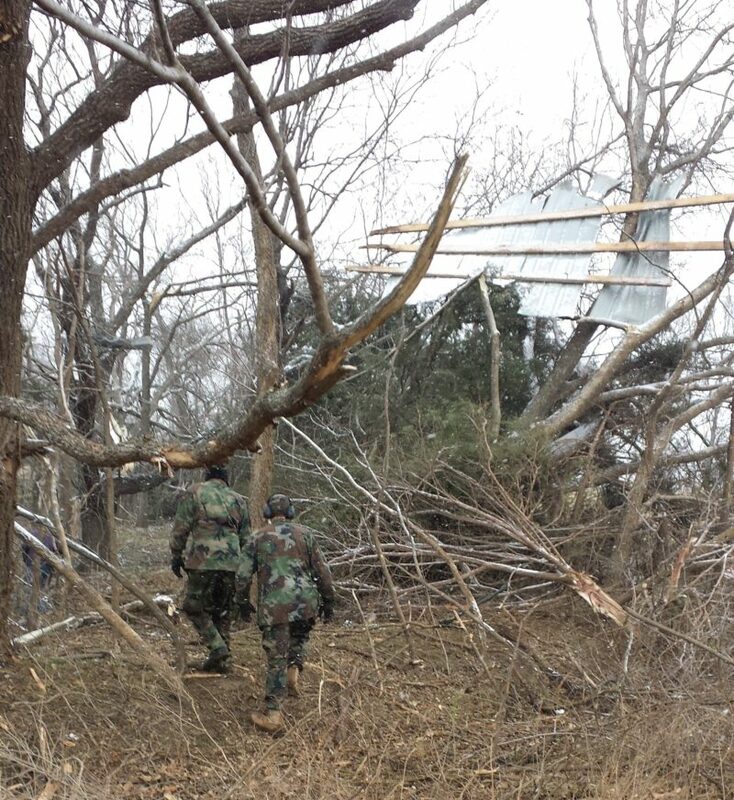 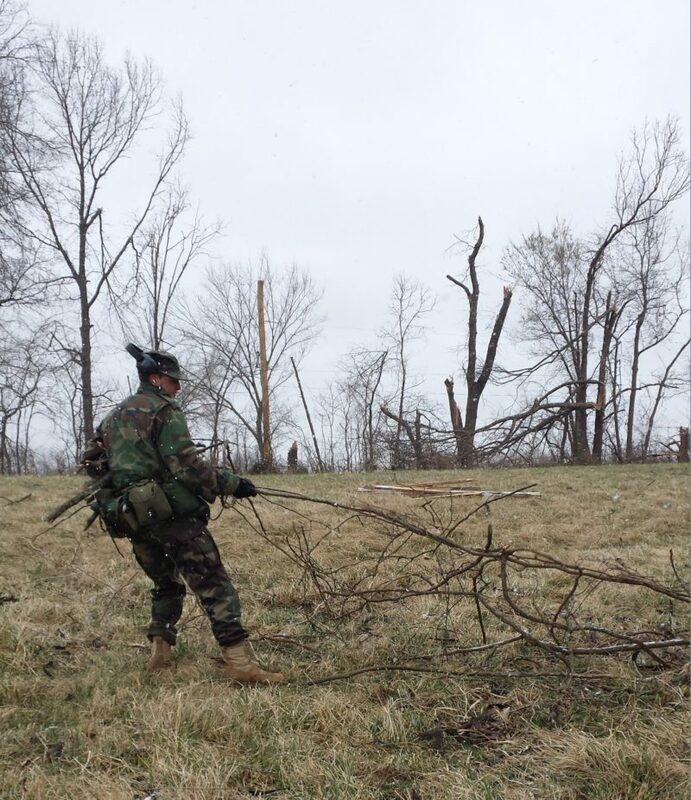 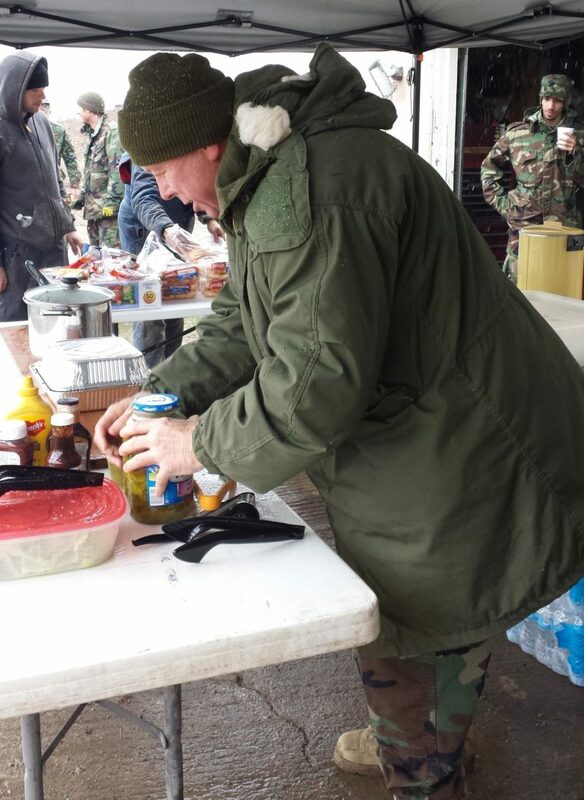 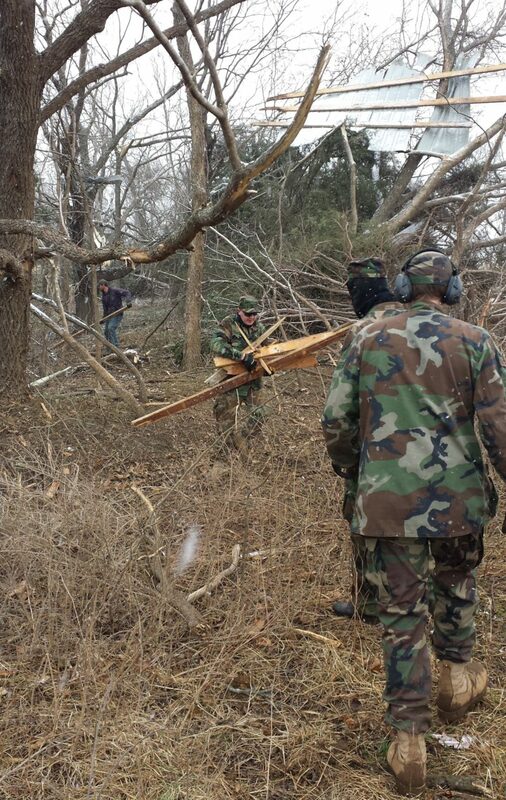 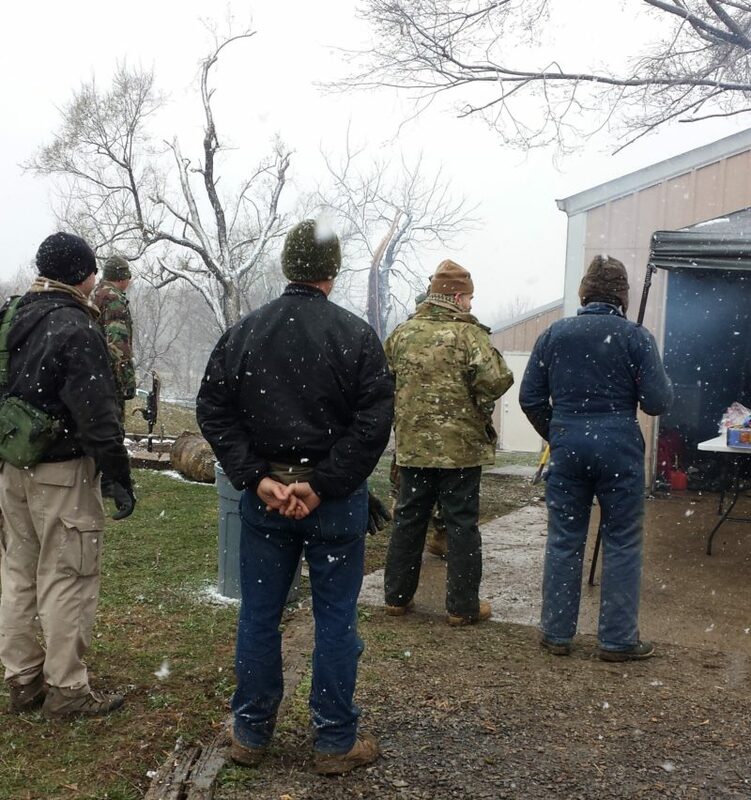 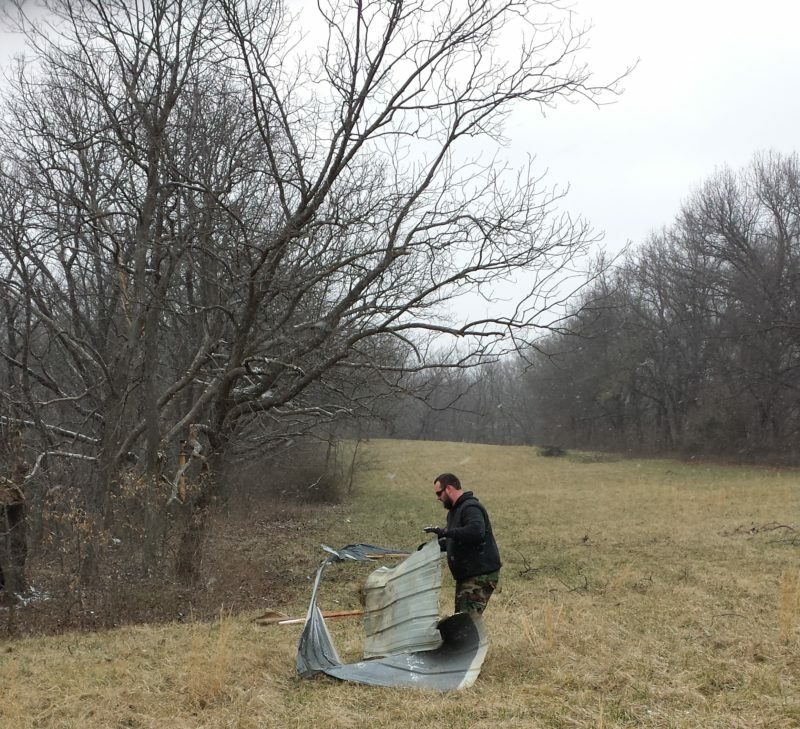 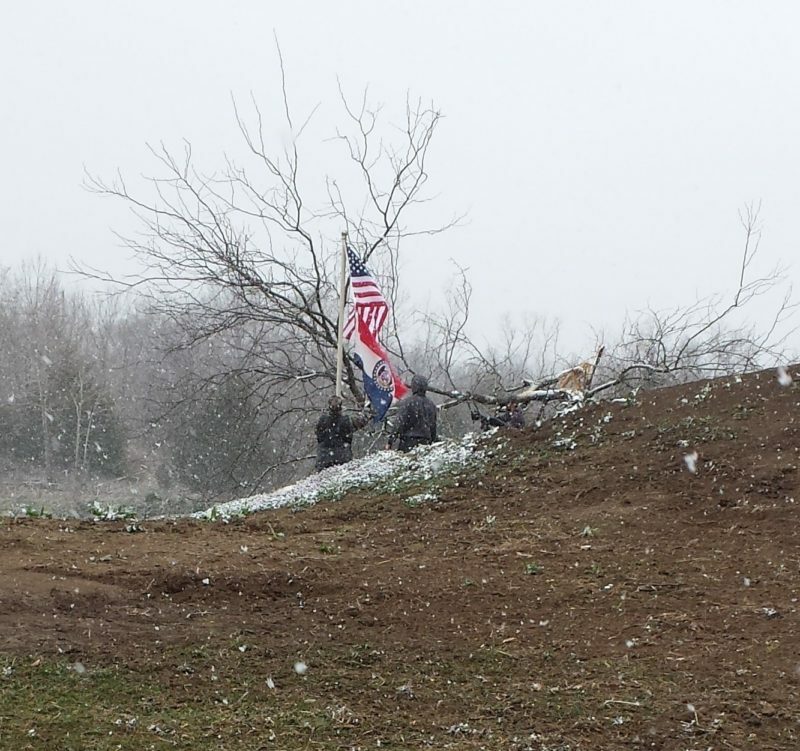 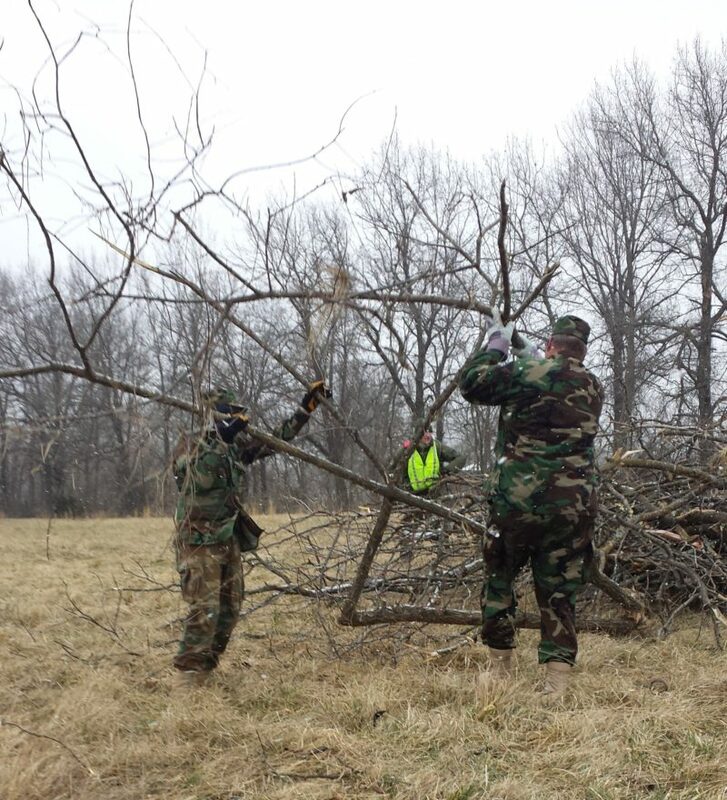 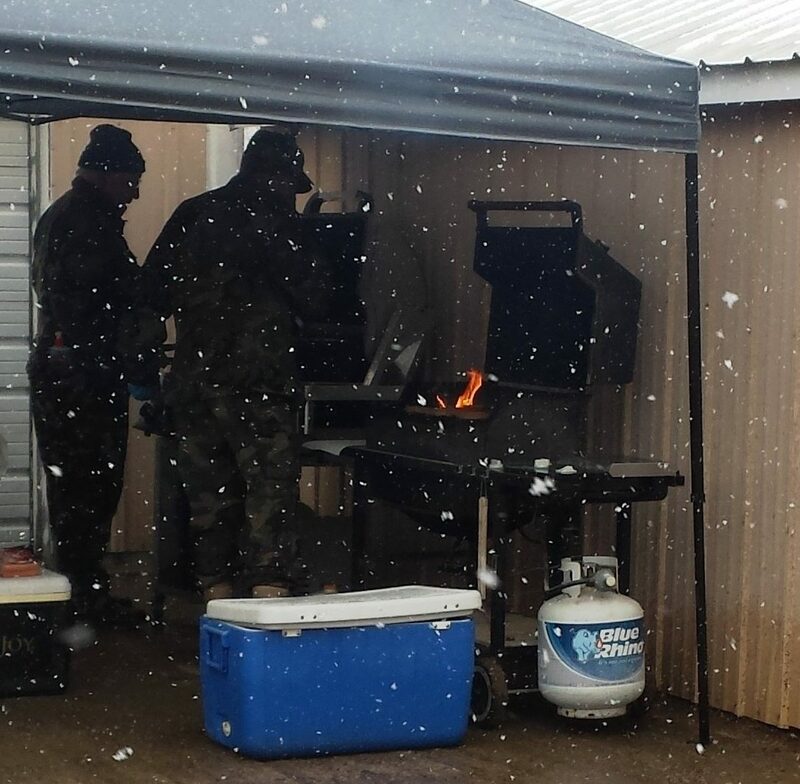 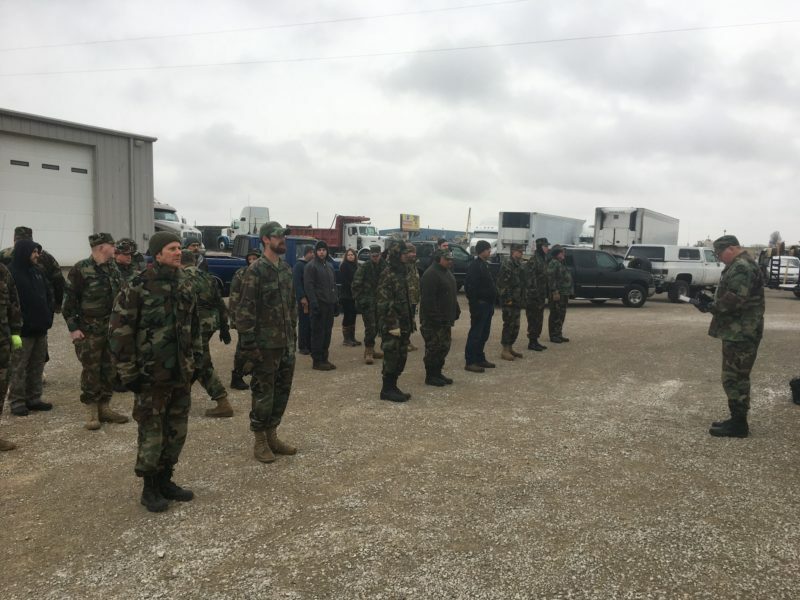 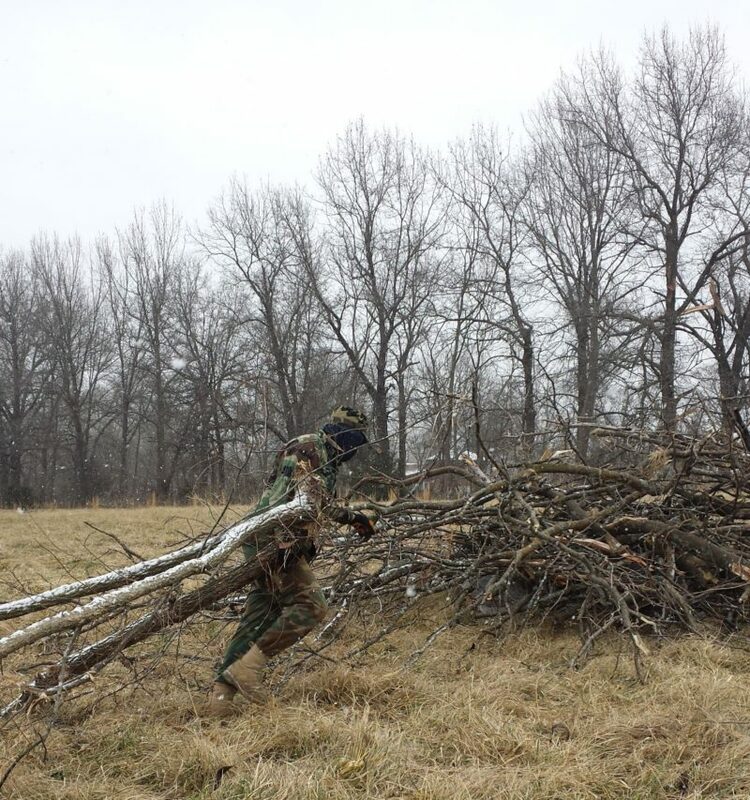 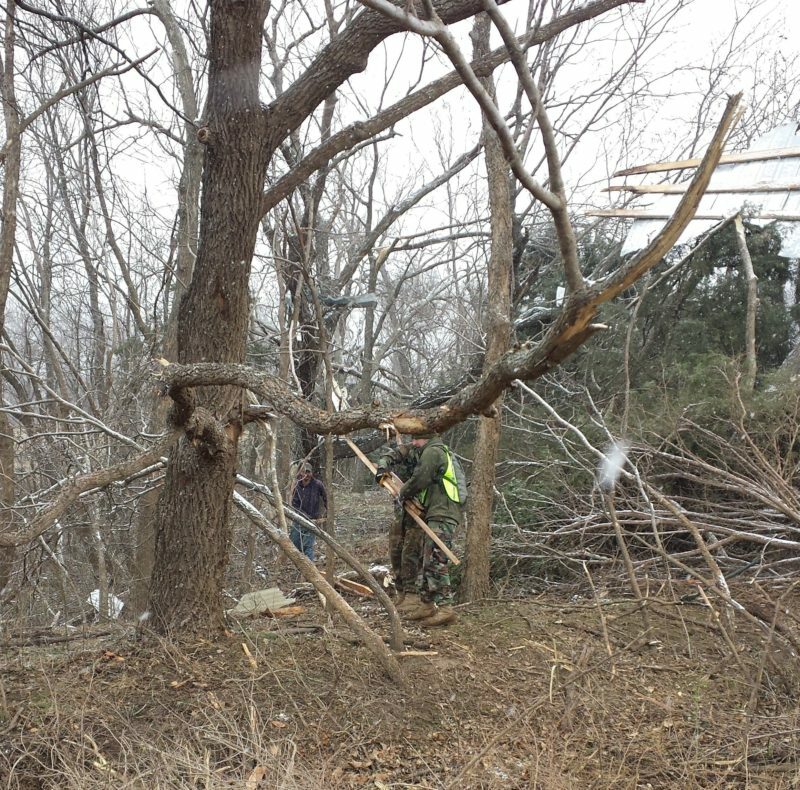 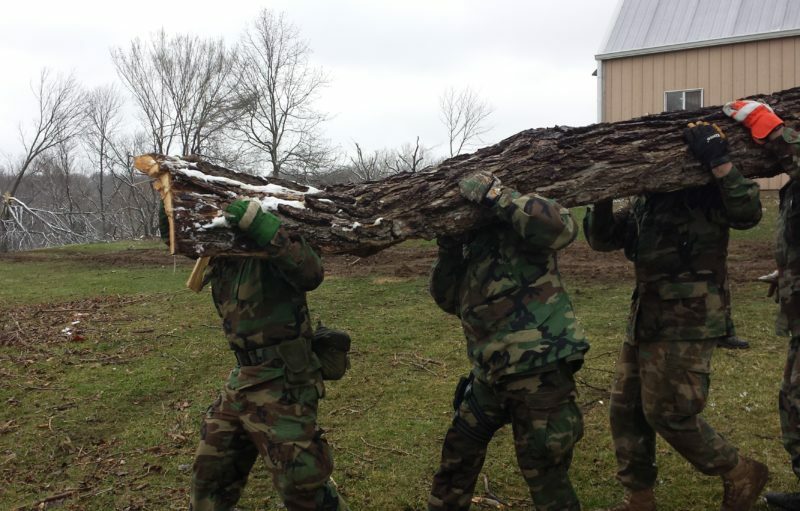 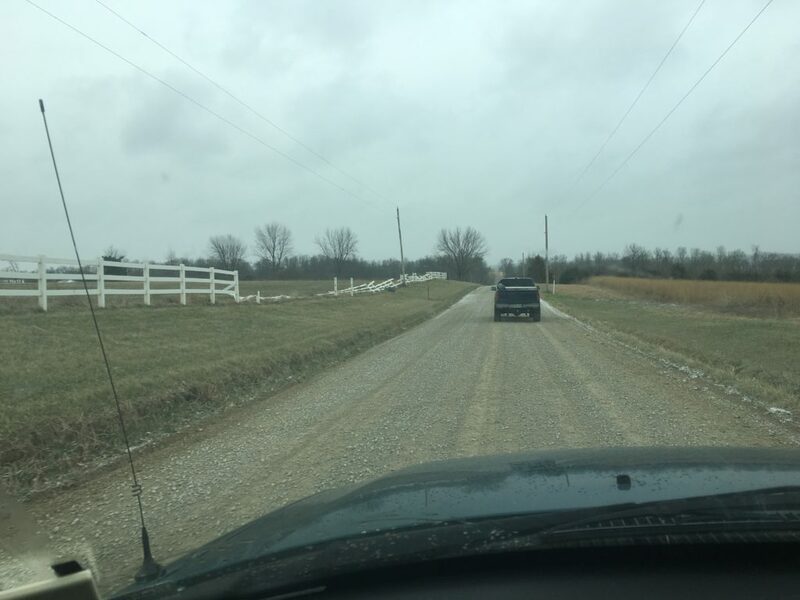 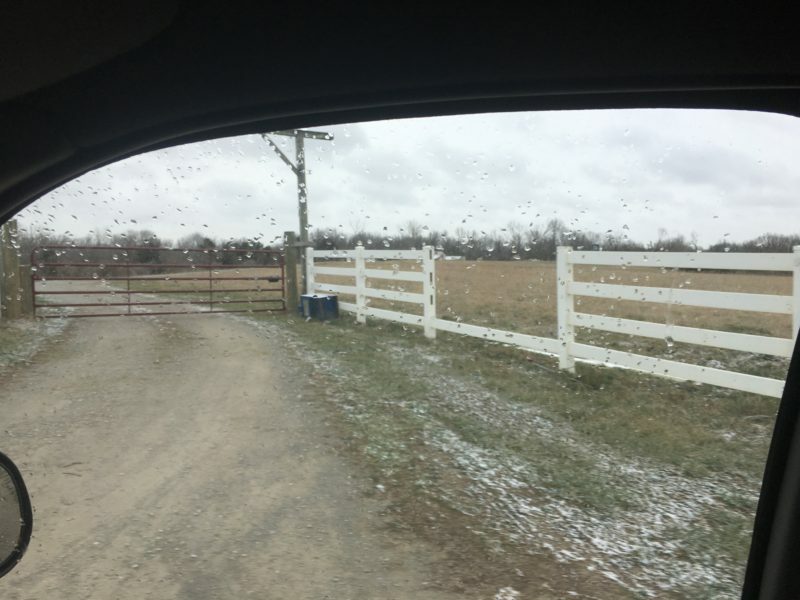 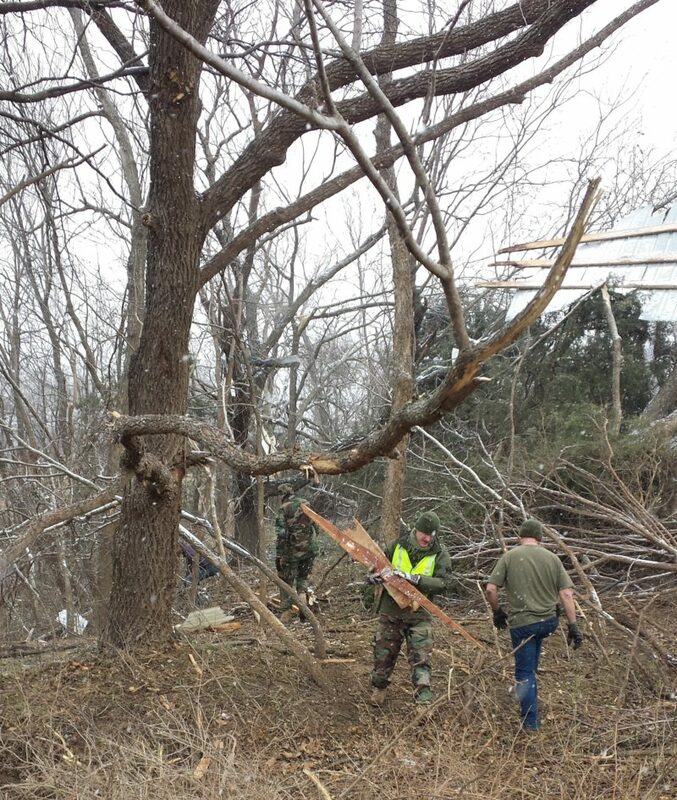 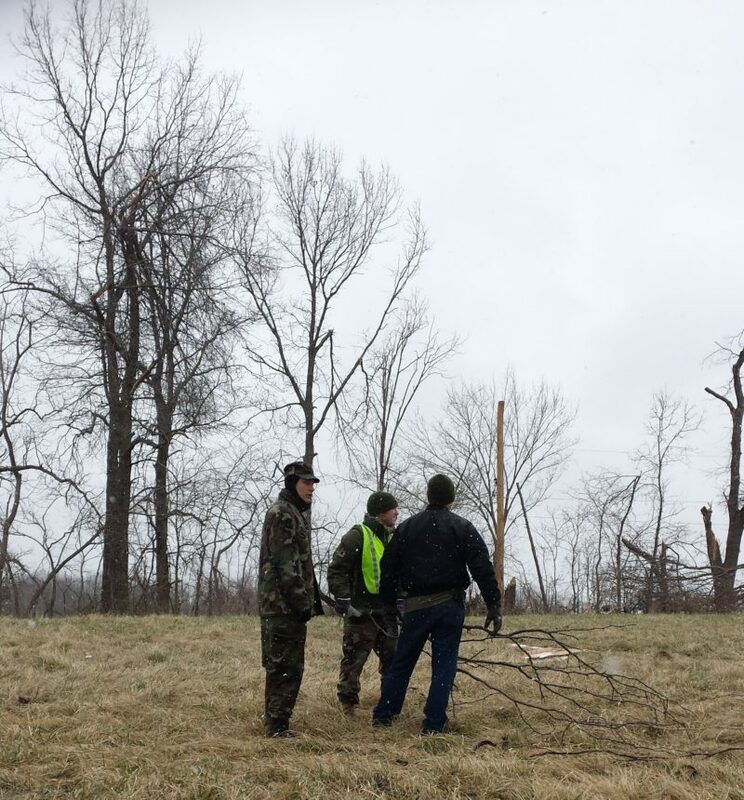 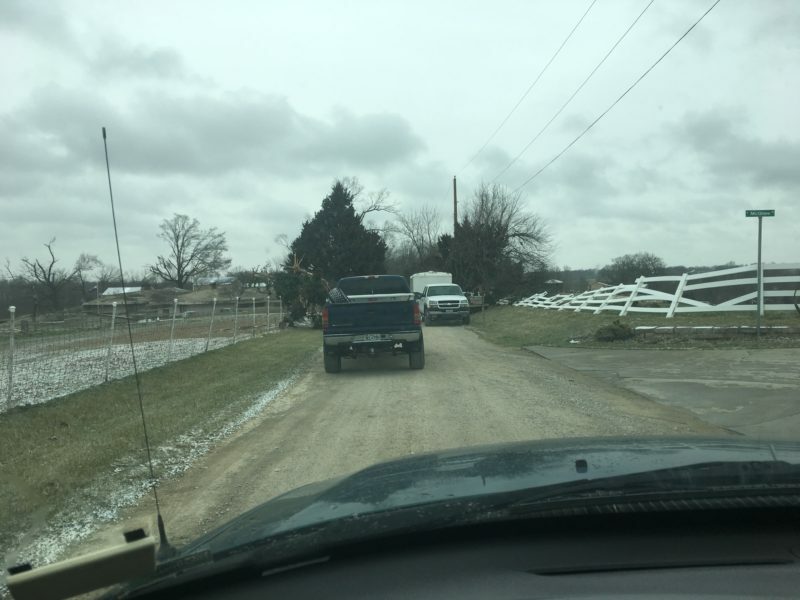 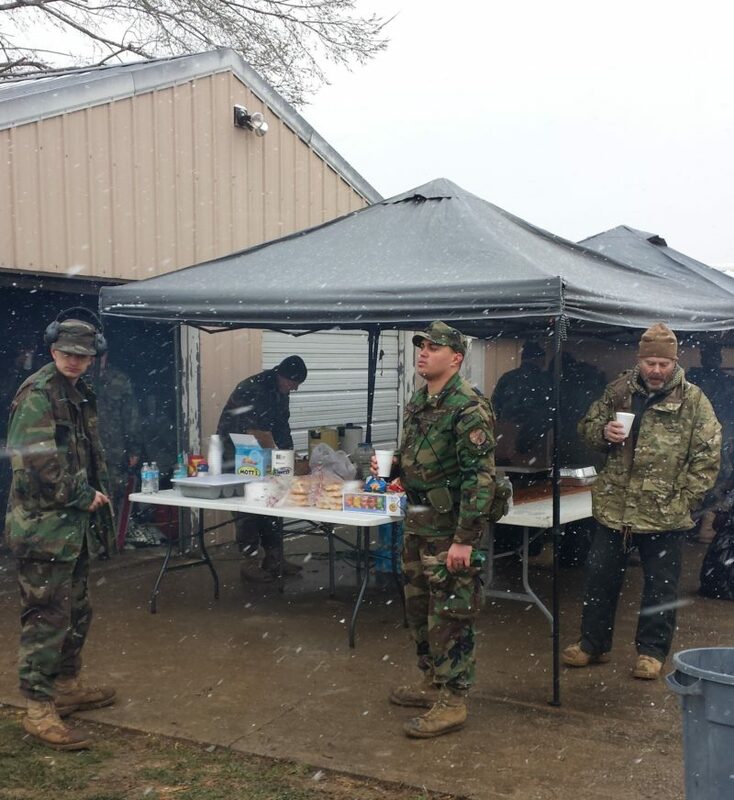 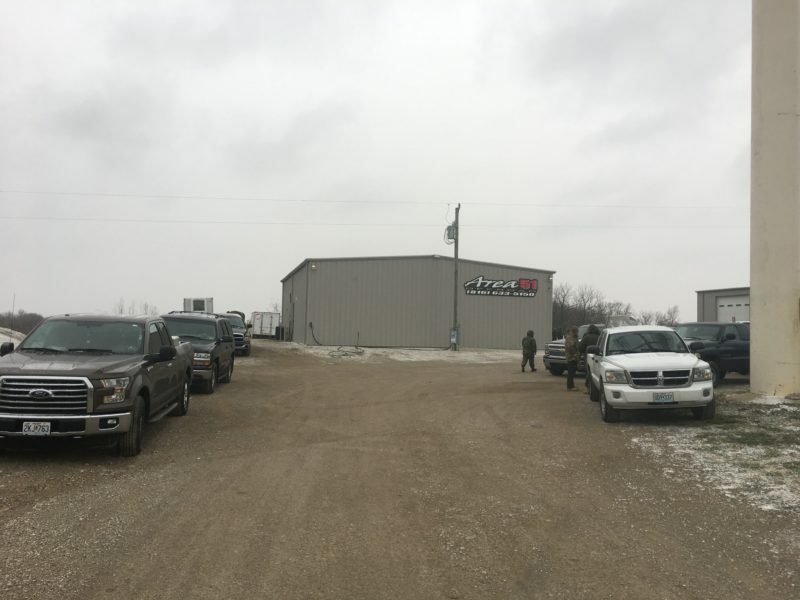 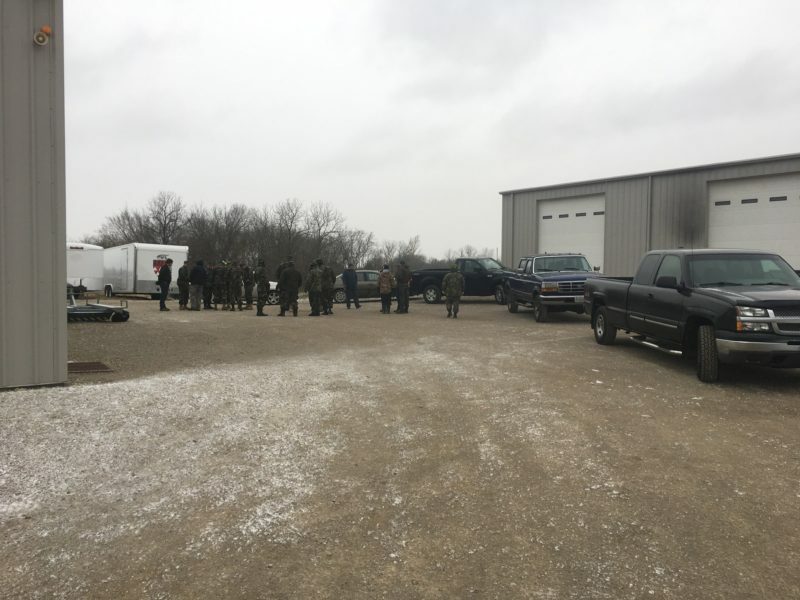 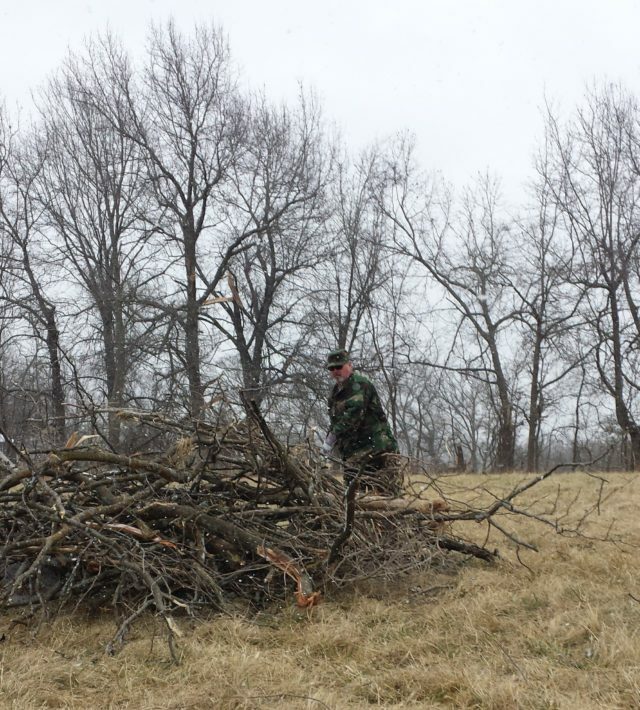 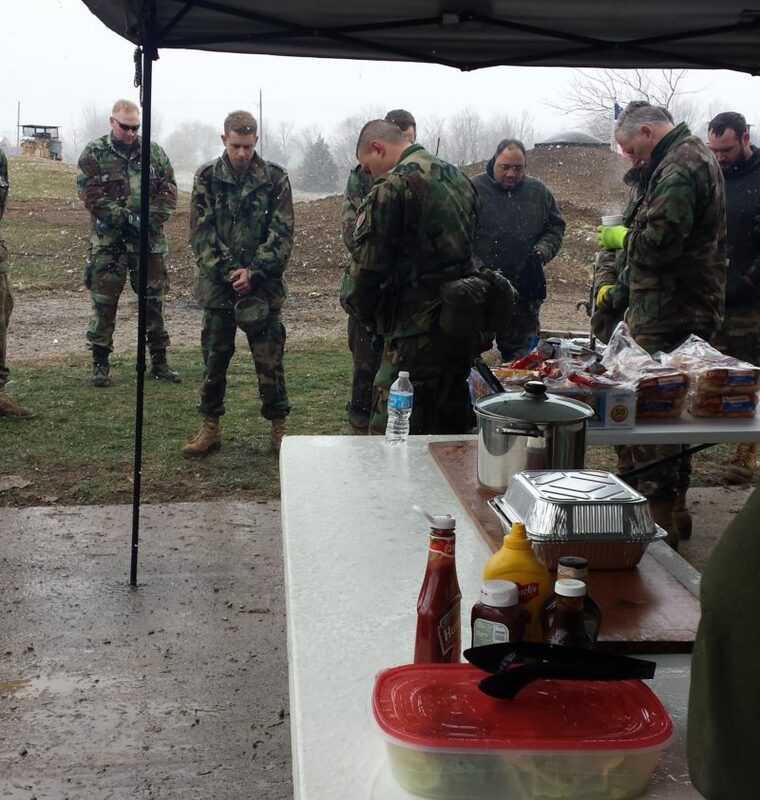 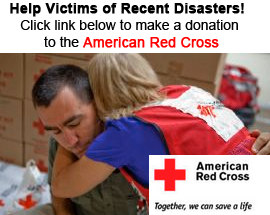 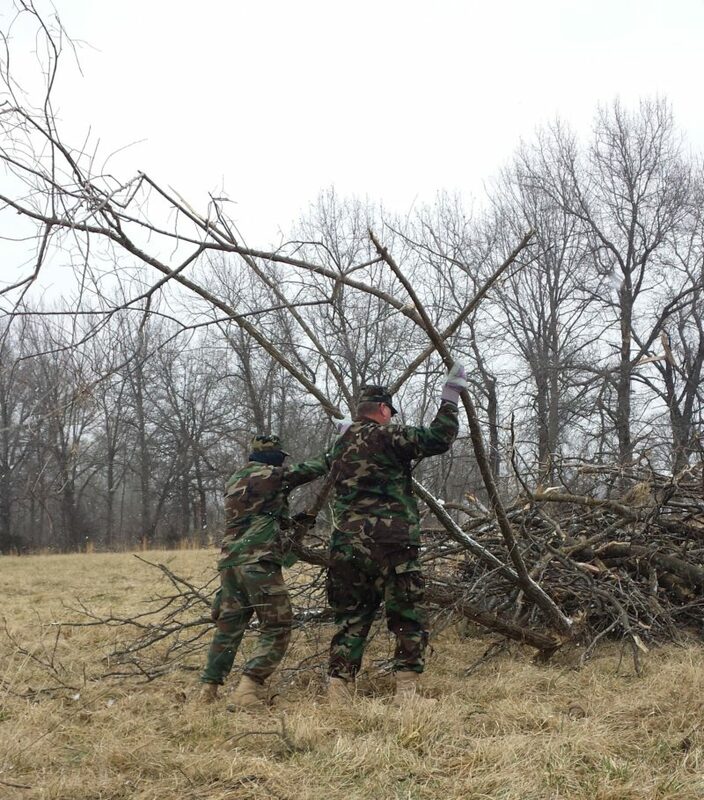 On Saturday, March 11th, 40 men and women came out to clean up two small farms that were effected by the storms: 30 were with the Missouri Militia and 10 were with KCAM (the Kansas City Area Militia). 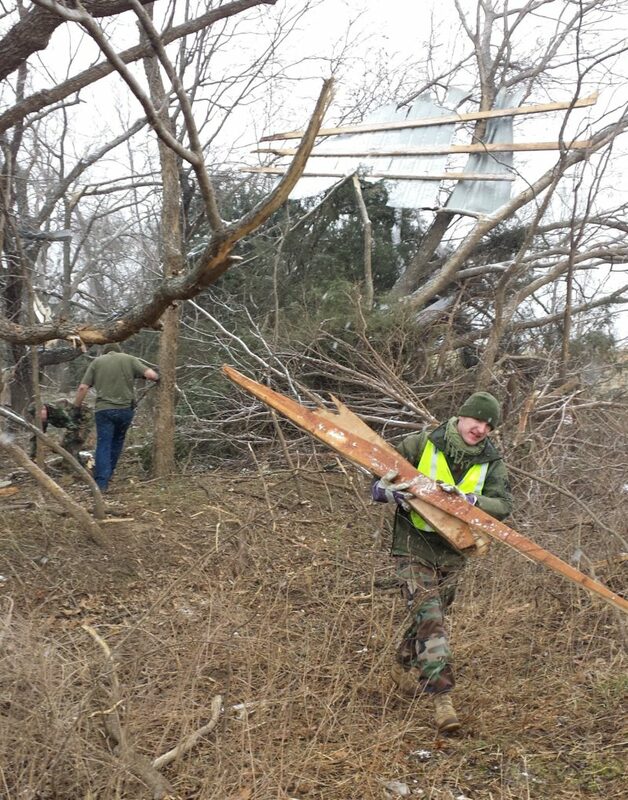 Here are some of the photos from the cleanup. 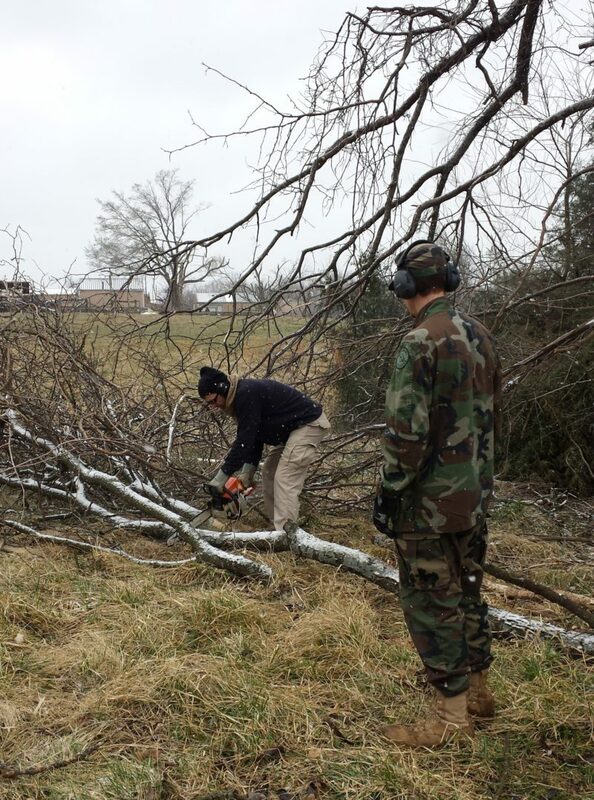 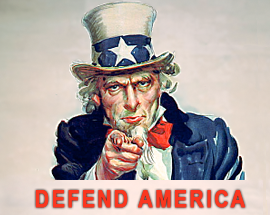 Thanks to everyone for a job well done.